I’ve been playing more guitar in the last few months than I ever played in the last two decades. It all changed when my wife gave me, as a birthday present, a Gibson Les Paul, the dream guitar that I always wanted to have. Now that I have it, I just couldn’t allow it to get dusty so I started playing more often. I always enjoyed playing with bands and recording an album has always been on my to-do list but didn’t have the time or opportunity to do that yet. I do have a MacBook Pro though, and you can do a lot of interesting things with it and music is a good example of the amazing things you can achieve, especially if you use one piece of software that is called GarageBand. When I discovered GarageBand it was like suddenly a whole new world emerged in front of me. All of a sudden I had my own band, with a few clicks I could create a new song, add drums and all kinds of instruments. To record the guitars I use the iRig HD which allows me to record bass, rhythm and solo guitars, the only instruments I don’t use software to play and record. Another essential piece is the Logic Remote app for iPad which makes the perfect companion app for GarageBand. With this setup, I’m ready to rock’n’roll and I’ve been playing guitar and recording some songs since then. Bare in mind that I’m not a musician per se, I mean, I like to play my guitars, I’ve been playing guitar since I was twelve but I have plenty of limitations. For starters, I can’t read musical notations and I miss a lot of other basic music knowledge which by itself is a great handicap but I like to think that what I miss on this theoretical side, I compensate with feeling, whatever that may be. But none of that really matters to me, the most important part is that all of a sudden I was writing songs and having lots of fun at the same time which by itself is already wonderful. Then, a few weeks ago, I discovered Rotor Videos. An amazing tool to create music videos online. It’s a great, simple and effective solution to make great videos at a cheap price. 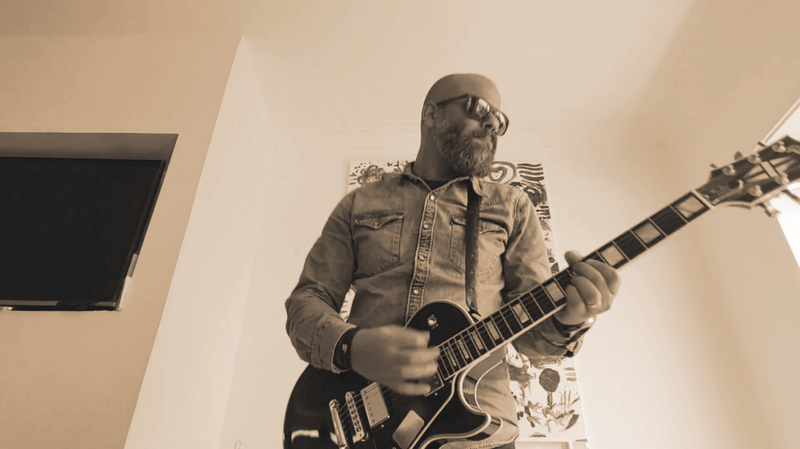 Now I’m feeling like a rock star, making my own music with video clips and all that, really good feeling of accomplishment, it’s nothing like having a band and recording a real album but for me, it’s just as close as it could get. Then I discovered ReverbNation and more important, the Crowd Review service. ReverbNation is like a social network for artists and bands and Crowd Review allows any artist to get feedback on a song from unbiased fans. Family and friends will most likely be supportive of your work and always tell you they like your music, which was my case, but I thought this was a great opportunity to really test the quality of the songs I was writing although I read articles about Crowd Review being somewhat incoherent and unreliable but I thought I could give it a try, after all, USD 25 for 50 reviews is not a lot of money.